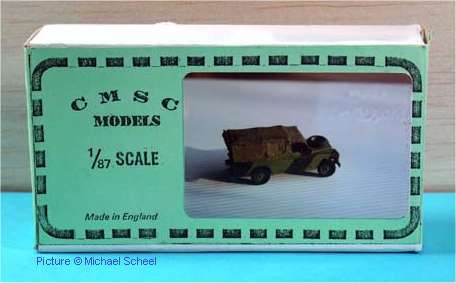 Kits of military models in 87th scale. CM-015 Australia M113 Fire Support vehicle ? CM-017 Israel M113 Fire Support Vehicle ? CM-022 UK Infantry Fighting Vehicle FV 430 'Warrior' ? CM-023 Soviet Union Medium Battle Tank T-55 ? CM-028 Germany Trip-trailer 5t with M-Boat (small) Type SW-5/70 (EWK) ? CM-029 UK Rover 9 (FV18062) - Land Rover HA 109 (Hard top) ? 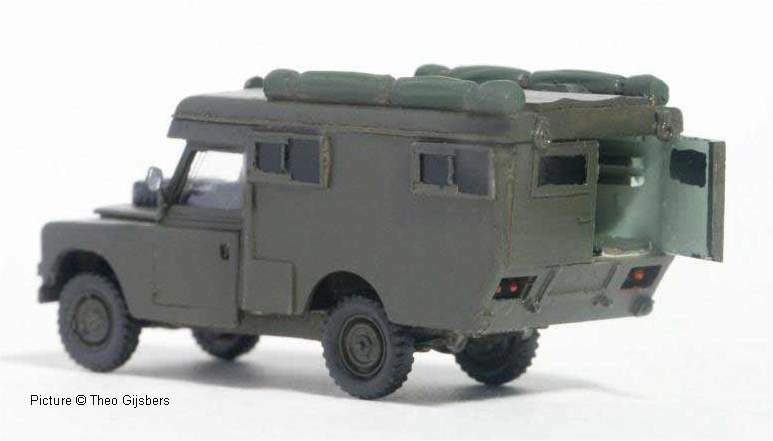 CM-030 UK Rover 9 (FV18062) - Land Rover HA 109 (Soft top) (+ picture above) ? CM-031 UK Rover 9 (FV18062) - Land Rover Radio with trailer ? CM-804 Israel M113 Command and Communication Vehicle ? CM-805 Israel M113 TOW ? CM-806 Israel M113 Fitter Vehicle ? CM-807 USA M113/M163 AA tank ? CM-807 Israel M113/M163 AA tank ? CM-809 Israel M113 Up-armoured ? 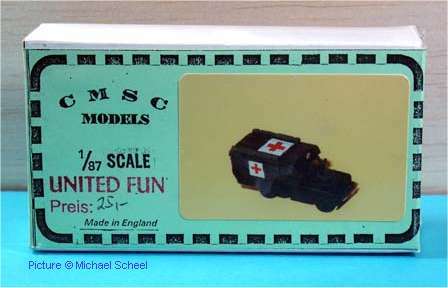 CM-811 UK Rover 7 (FV18044) - Land-Rover HA 109 Truck ¾-ton, 4x4, Ambulance (built up) ? CM-813 USA M992A1 FASV Armoured ammunition carrier ? CM-814 USA M109 / XM-975 'Roland' ?